A beautiful contrast between the long coastline and mountainous area. Japan's largest sand dunes, the Tottori Sand Dunes, formed by volcanic ash. Tottori Prefecture is situated in the northeastern part of the Chugoku region. This prefecture abounds with scenery that changes expressions from season to season. The area consists of a long coastline that stretches from east to west, narrow flatlands, and a mountainous area represented by Mt. Daisen. The fresh greenery in spring and tinted leaves in autumn at Mt. 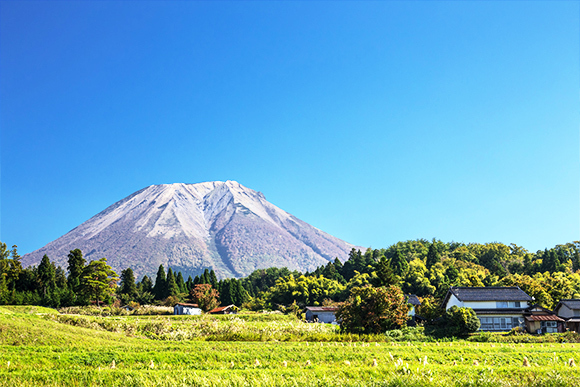 Daisen, in particular, are breathtakingly beautiful sights. You can enjoy this scenery from the windows of the train that runs on the San-in Line along the coastline. Many ancient ruins from around 400 BC to 300 AD have been found there, mainly in the flatlands. The Aoyakamijichi and Mukibanda Ruins tell us of the long history of exchange that Tottori had with the Korean Peninsula and China. The Tottori Sand Dunes are Japan's largest dunes (about 16 kilometers from east to west and about 2 kilometers from north to south), and have been formed on both sides of the mouth of the Sendai River. 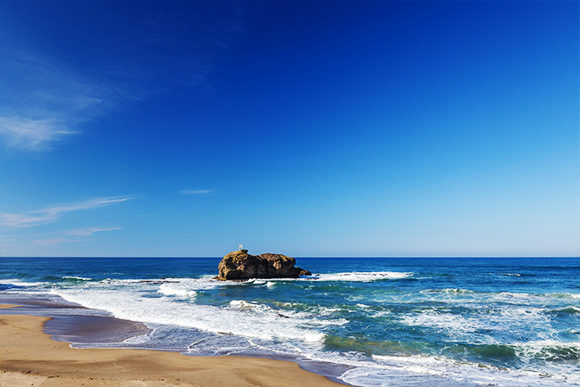 The Hakuto Coast is the site of Japanese myths about the "Inaba no shiro-usagi" (the White Rabbit of Inaba), and Daisen-Oki National Park lies in Tottori as well. 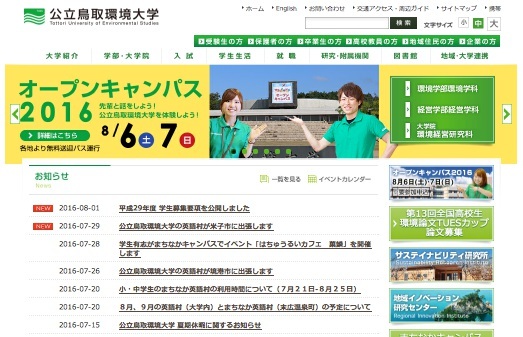 Of special interest are former castle towns like Tottori and Kurayoshi. Other attractions include Misasa Onsen, historically known as one of the leading therapeutic baths in this region due to the high radium content of its spring waters, and skiing at Mt. Daisen in winter. Tottori hosts many visitors during all seasons of the year. New sightseeing spots and museums hosting works by Japan's famous cartoonists from Tottori are very popular. The Gosho Aoyama Manga Factory is a museum exhibiting materials related to the author of "Detective Conan," a comic loved around the world. The Mizuki Shigeru Museum hosts the works by Shigeru Mizuki, author of "Gegege-no-Kitaro," a representative 'yokai' (specter) manga in Japan. These museums are always crowded with people of all ages. The bronze statues of yokai standing in various locations throughout the area are also extremely popular.